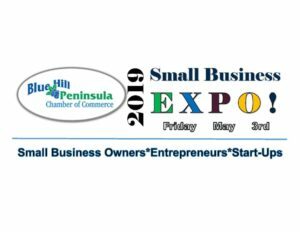 Join us at Parker Ridge on May 3 from 8:30am-12:00pm for the 2019 Small Business Expo! Find local vendors that will help your small business succeed! Lori Schaefer, founder, CEO & Chief Strategist with Marketing that Matters, will be our Keynote speaker, sharing her expertise related to fresh ideas and sound marketing strategies, while utilizing local talent to help your business succeed! Following breakfast and our keynote speaker, representatives from local law offices, banks, accounting offices, marketing experts, radio, promotional materials, non-profit resources and more, will be available for questions and conversation. There is a fee for breakfast, which includes the keynote address. The Small Business Expo is free and open to the community. To register and make a payment online, click here. Seating is limited. Early registration is encouraged. 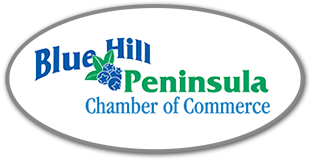 If you are interested in becoming a vendor, please contact Lori at the Blue Hill Peninsula Chamber of Commerce at chamber@bluehillpeninsula.org. To complete an application, click here. Your business or organization must be a member to participate as a vendor.